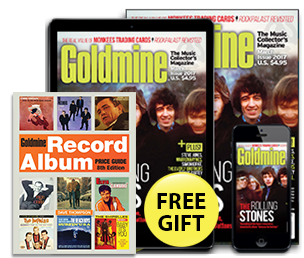 Subscribe Now to the World’s Largest Marketplace for Music Collectibles and Music Memorabilia and Save 60% Off the Cover Price! 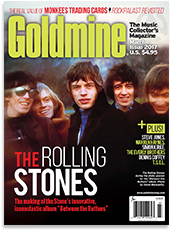 Subscribe now and get a FREE INSTANT DOWNLOAD — Goldmine Record Album Price Guide, 8th edition. The Record Album Price Guide is a sound ally for vinyl collectors. At its core, this guide is the most extensive single source of pricing and identification information for American rock, pop, alternative, jazz and country albums. 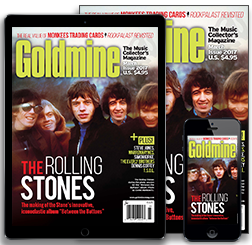 Canada and Foreign All-Access and Print Only subscription: Canada add $36.05. Foreign add $60.05. 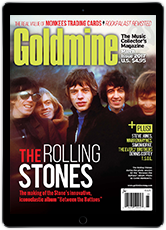 Goldmine is published 13 times a year. Orders for existing subscribers will be added as a renewal. SUBSCRIBERS' AUTOMATIC RENEWAL FEATURE: I understand that I will receive uninterrupted service and delivery of my magazine and that my subscription will be automatically renewed each year at the rate then in effect. I won't be bothered with any renewal notices in the mail; instead, I will receive a clearly marked annual reminder 6 weeks before my credit card is charged. I may cancel at any time during my subscription and receive a refund on any unmailed issues by calling 1-877-300-0268 (U.S.), 1-386-246-3454 (Int'l).